The skyrocketing US trade deficit last year hit the highest level in a decade, a major setback for President Donald Trump’s global trade offensive, government data showed Wednesday. And the trade gaps with China, Mexico and the European Union all jumped to all-time highs even after Washington slapped tariffs on hundreds of billions in imports from its largest trading partners. The US goods deficit — excluding services, such as tourism, licensed technologies and finance — surged 10.4 percent to $891.3 billion, its highest level ever. Though Trump has angrily described trade deficits as a defeat for the United States, the Commerce Department 2018 report was bristling with records as Americans snapped up mobile phones and companies invested in computer equipment. 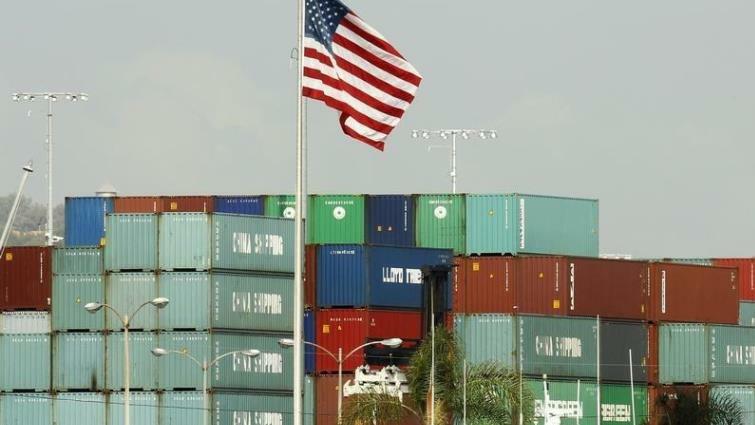 The overall trade deficit with the world jumped 12.5 percent to $621 billion, including goods and services, as both imports and exports rose to their highest levels ever, according to the report. The deficit in 2017 was $552.3 billion. In December, the overall trade deficit also vaulted past expectations, surging 18.8 percent and likely weighing on an economy which already was slowing at the close of the year. Solid growth, low unemployment and consumers’ thirst for foreign products drove imports of goods and services up 7.5 percent to a record $3.1 trillion in 2018. Exports of goods and services also rose, but not enough to chip away at the imbalance. Sales abroad increased 6.3 percent to $2.5 trillion last year, also the highest level ever. As the country is on its way to becoming a net energy exporter, crude sales abroad more than doubled to $47 billion. But soybean exports, a crucial crop across vast expanses of the country, fell 18 percent for the year to $18.2 billion amid a Chinese boycott sparked by Trump’s trade war. American purchases of foreign autos, computers and machinery, and consumer goods, as well as foods and animal feeds, also were the highest ever. Imports of goods ($2.6 trillion) and services ($557.9 billion) reached new all-time highs, the report showed. And even as Washington and Beijing have exchanged punitive tariffs on more than $360 billion in two-way trade, the US deficit with China expanded to an even larger $419.2 billion, a new record. Trump in recent weeks has signaled the US is closing in on a resolution to his year-long trade battle with Beijing but details remain scarce. The deficit with the European Union also rose to a record $169.3 billion, while the gap with Mexico hit a high of $81.5 billion. The United States recorded surpluses with Britain and the regions of South and Central America. The OECD on Wednesday cut its global growth forecast for 2019 by two tenths to 3.3 percent, citing trade tensions and political uncertainty. The post US trade deficit surges to 10-year high in 2018 appeared first on SABC News – Breaking news, special reports, world, business, sport coverage of all South African current events. Africa's news leader..